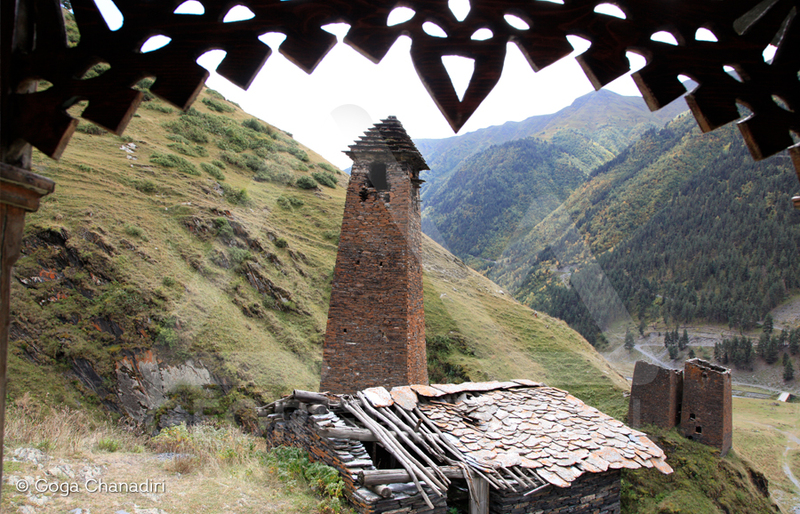 15:00 Arrival to Omalo – The largest village in Tusheti. Accommodate in the Guesthouse. One hour break. 18:00 See amazing village Diklo. 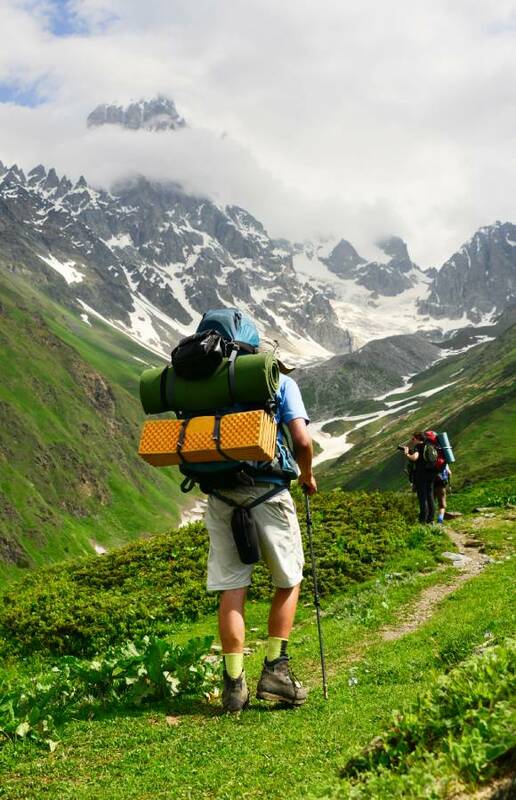 Tucked into Georgia’s far northeast corner, Tusheti has become a very popular summer hiking and horse-trekking area, but remains one of the country’s most fascinating and pristine high-mountain regions. The single road to Tusheti, over the nerve-jangling 2900m Abano Pass from Kakheti, is 4WD only and passable only from about early June to early October. 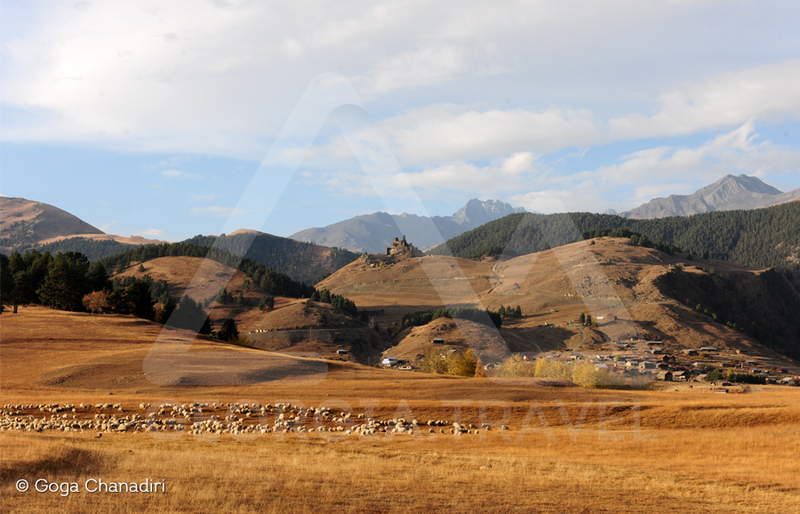 Evidence of Tusheti’s old animist religion is plentiful in the form of stone shrines called Khatebi, decked with the horns of sacrificed goats or sheep, which women are not permitted to approach. Defensive koshkebi, centuries old, still stand in many villages. Today most Tusheti folk only go up to Tusheti in summer, to graze their sheep or cattle, attend festivals, cater for tourists and generally reconnect with their roots. 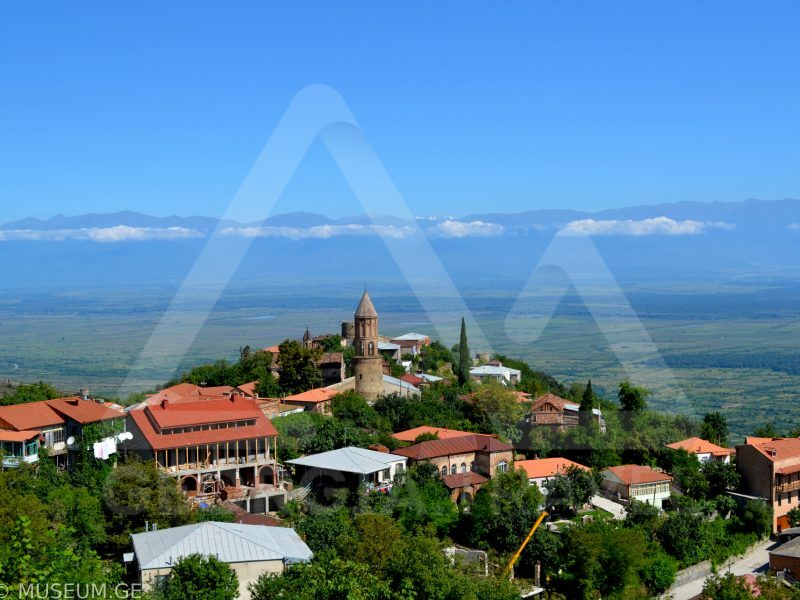 Many have winter homes around Akhmeta and Alvani in Kakheti. Tusheti has two main river valleys – the Pirikiti Alazani and the more southerly Gomtsari (Tushetis) Alazani – which meet below Omalo, the biggest village, then flow east into Dagestan (Russia). The scenery everywhere is a spectacular mix of snow- covered rocky peaks, deep gorges and steep, grassy hillsides where distant flocks of sheep appear as slowly shifting patterns of white specks. 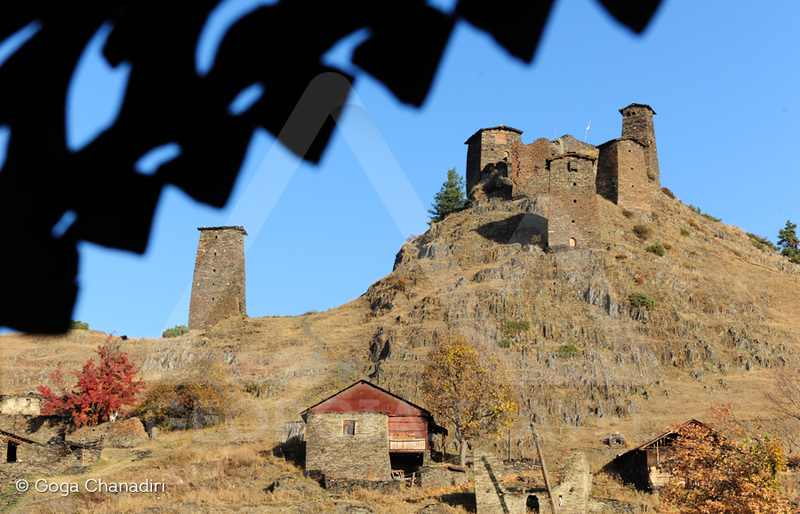 Historical district of Omalo - Keselo is a castle. Today there are the remains of 7 towers. This place must have been an important settlement for Tushi people, as long as there are two chapels and a beer brewing building there. In one of the towers of Keselo, there is an ethnographical museum there. The fighting and domestic tools are exhibited there. The village of Dartlo has the status of architectural reservation. The evolution of the use changes is visible in the village. The fortification buildings lost their function and gained the additional balcony decorations. The remains of the architecture are the towers with the pyramid shape roofing and the attached balcony houses. Dartlo has various landscapes that is truly exceptional. One of Georgia’s most remote and scenic areas, Tushetiis tucked away in the Caucasus Mountains along Kakheti’s northern border with Russia. The Abanos Pass that runs to the region from Akhmeta is only open from mid-June to early October and travelers should expect an adventure as you navigate through the steep cliffs. 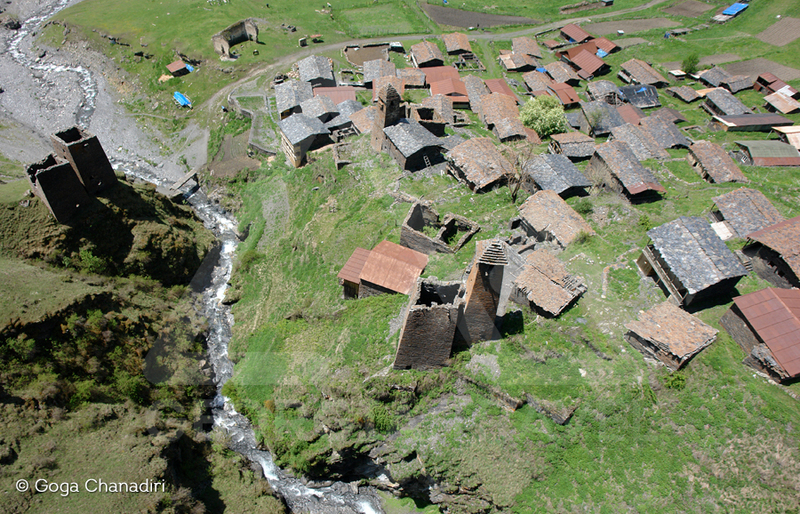 Tusheti is a unique cultural heritage location. The villages of Dartlo and Omalo are home to nomadic tribes that still practice a unique religion. While hiking through this spectacular area, small stone towers can be seen that mark the place of a ritual animal sacrifice. Homestays are widely available for those looking for a rustic retreat. 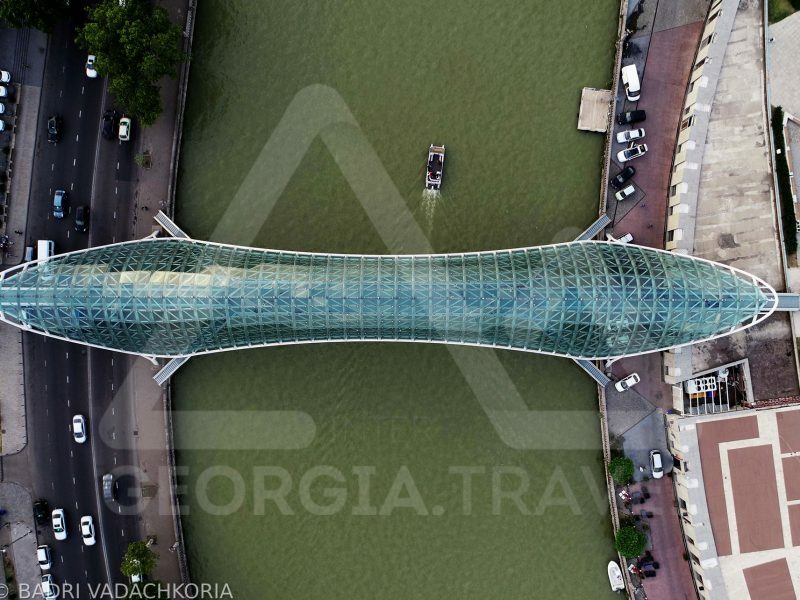 One of the most beautiful and ecologically unspoiled regions of Georgia - Tusheti is located in the eastern Caucasus. 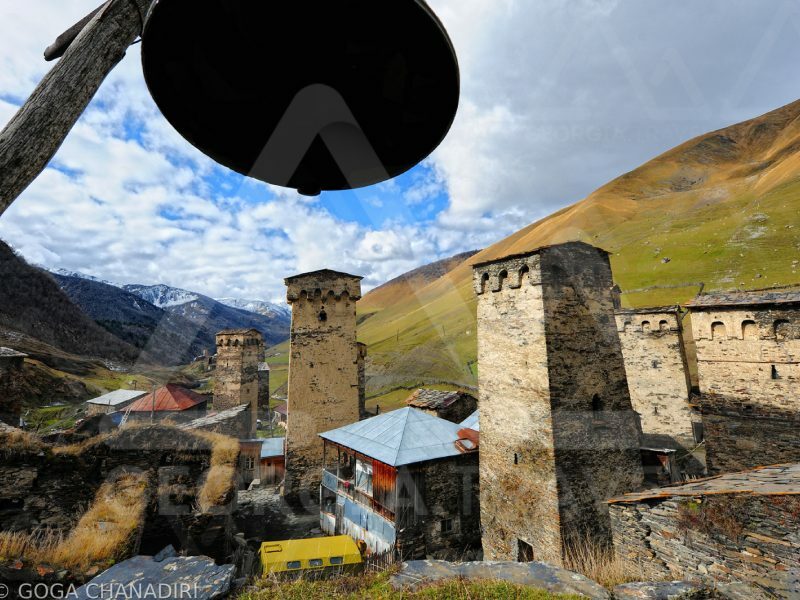 Tusheti Protected Areas cover Tusheti Strict Nature Reserve, Tusheti National Park and Tusheti Protected Landscape. The total area is about 122,050 ha. Region is a popular mountain-trekking destination and has always attracted visitors with its snowy peaks, unique pine forests and deep rivers, with its old villages and castles. 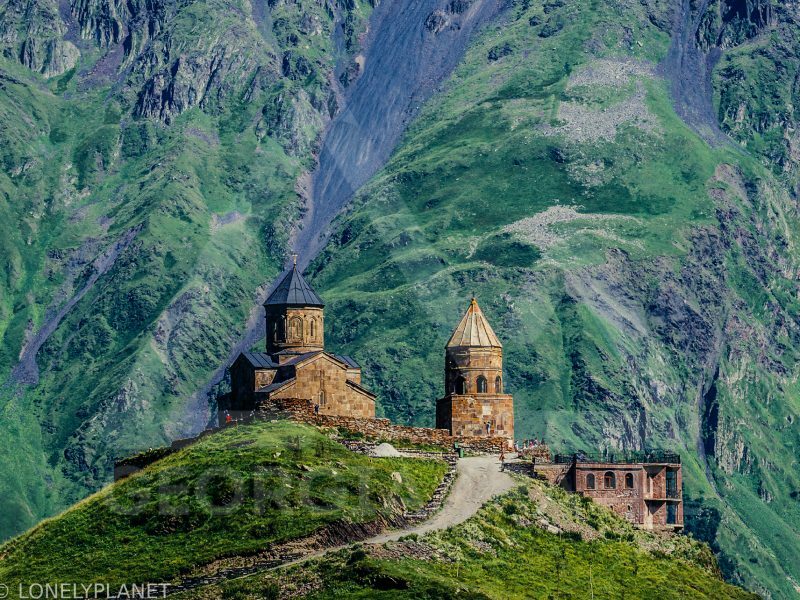 This part of Caucasus is the real heaven for ethnographers, biologists, photographers and adventure lovers alike. 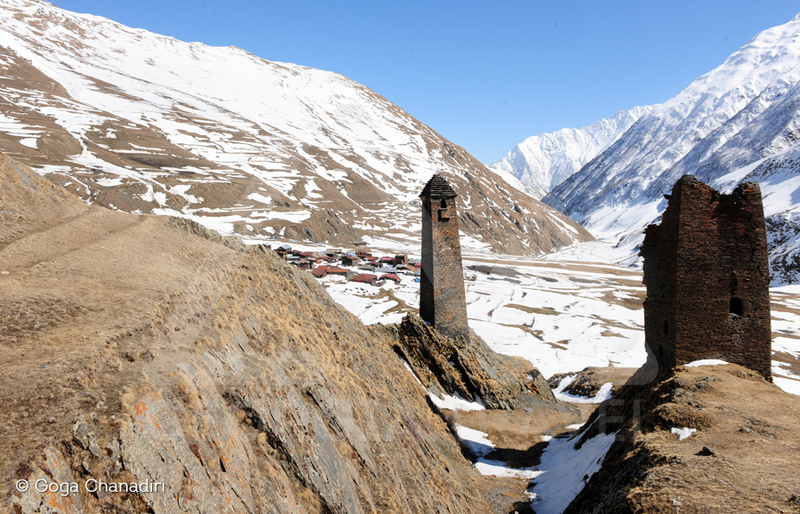 The Tusheti protected areas possesses spectacular mountain landscape reaching up to 4,800m. These weathered slopes of Caucasus and inaccessible cliffs are the homeland of the East Caucasian tur, chamois and Bezoars goat. 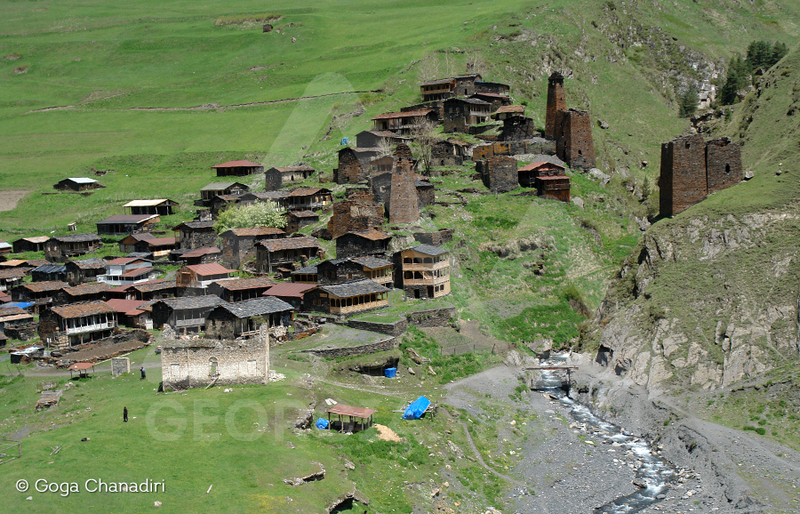 Tusheti protected landscapes include all the villages of this province. 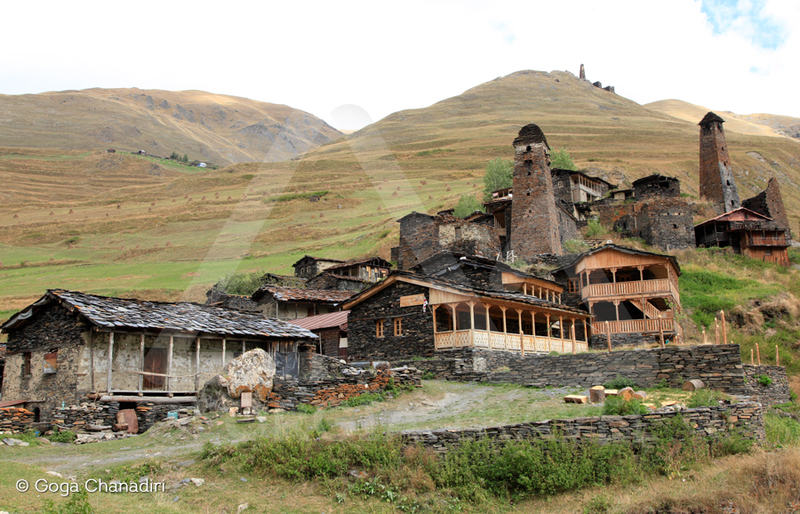 Every village of Tusheti is a historical monument itself dating back to the late Middle Ages. In addition of breathtaking nature, visitors are also attracted by its, domestic habits and industry like Tushetian carpets. Summer is the best season for visiting the Tusheti Protected Areas. Diklo - According to the legend the north Caucasian army attacked the town in the 19th century. 16 gunsmiths were defending the fortification for 18 days but the battle was unjust. So by the request of the wife one of the gunsmiths killed his fellows and died fighting himself. Men in Tusheti were well known as brave warriors. Dochu - The village of Dotchu is special because of its housing architecture. The buildings are mostly three stories high and are rich with their balcony decorations. Dotchu is built on a side of a cliff. Girevi is located in the historical land of Tusheti, on the northern slope of the Caucasian Mountains, in about 50 km from Omalo Village. Tusheti is famous for its virgin nature, beautiful villages with ancient towers, exotic folklore, traditional festivals and delicious food. The village is rich in monuments of Georgian traditional architecture. One of them is a five-storey tower in about 500 m west from Girevi. Another residential tower is situation in the south. It encompasses the tower proper and an added facility of later age. Kvavlo is located in 10 km. from Dartlo. The village is known for its architecture- towers roofed in the shape of pyramids. The districts are connected with each other by small path ways. 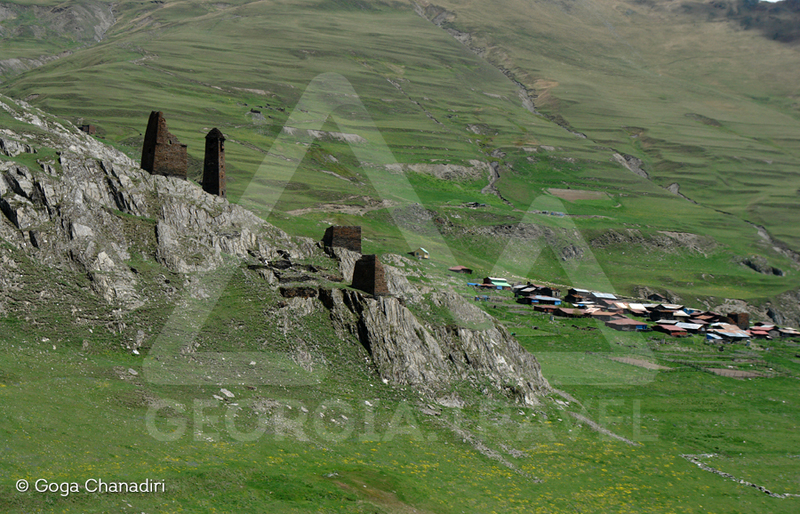 It you walk up the gorge of Didkhevi, you will be fascinated by the ravishing view of the area. Tchesho is located in 25 km. from Omalo. Tchesho united the villages and fortification towers in its territory. Today there are only the remains of the villages and three towers lined up together. The village of Hegho is located on the intersection of Larovani and Kvakhidi waters. According to the historical chronicles the village was surrounded by a defensive wall. The Lek army was trying to take over the place for a long while. The legend states that the Leks sent their secret service man to the master in Dagestan to determine the weakest part of the fortification. There is a story about how the master builder of the fortress and the fortress itself were tied by an oath, but the local priest took the oath away so the builder committed treason. The secret was in one white stone, that was taken out of the fence and all the walls broke down. There are only the remains of the village left today.